We make ordering adhesive the easiest thing you can do all day! 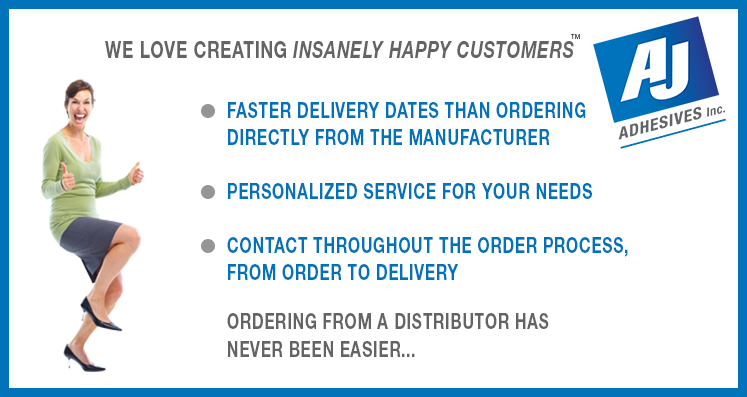 Creating Insanely Happy Customers™ is what we love to do! You see, we keep it simple. 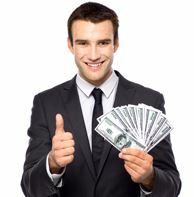 You work with one sales rep and one service rep to get you what you need. Through this process we get to know you, your company and your ordering needs. At AJ Adhesives we stock the highest quality of inventory in 4 large city locations, so we can get you what you need, when you need it. Not sure what product would work best? Our salesmen are adhesive professionals with years of experience in getting you the right product for your application. Avoid the large quantity ordering that comes with buying direct from the manufacturer and buy the pail or carton of adhesive you need from us. 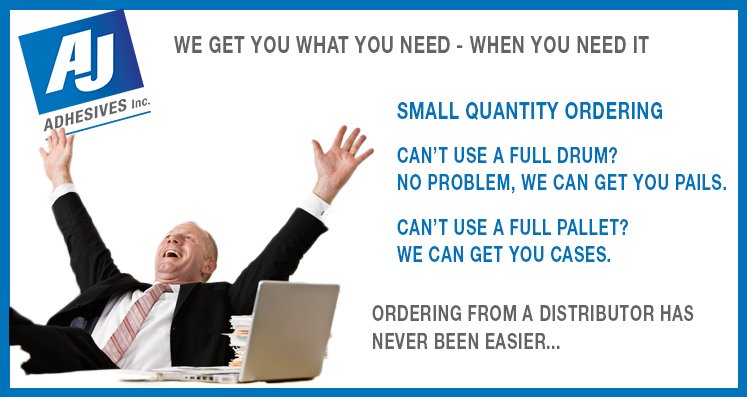 We keep it easy with no quantity minimum ordering. 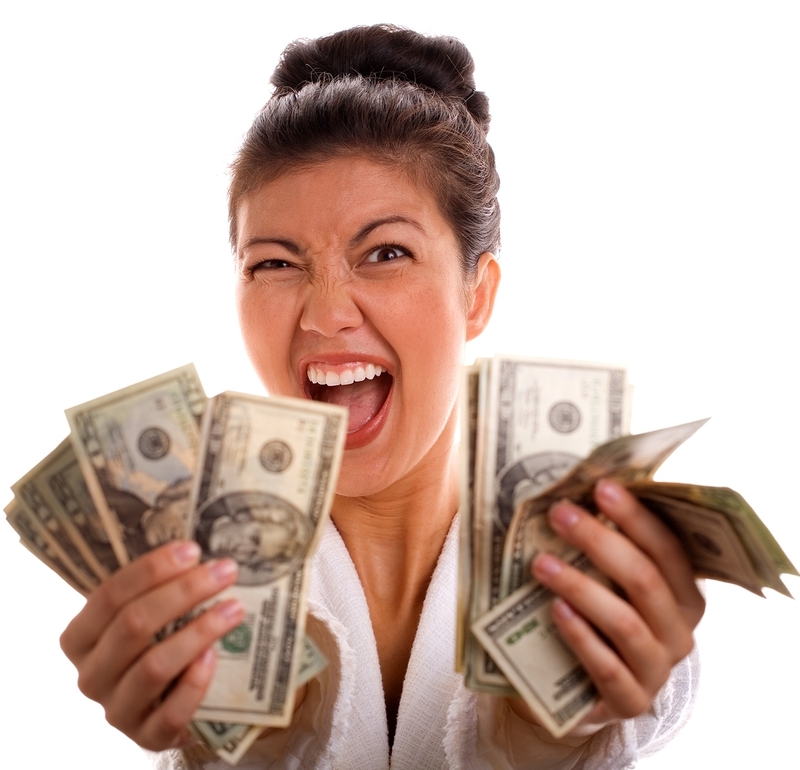 No need to overspend on product you won’t use. We can get you the product you need, in the amount you need it faster than anyone else can. Need more? No problem! Fill out our 1 question survey after your order to tell us what we can do better to improve your ordering experience. Ready to place your first order with us? Contact us today and we will have a local sales rep close to you contact you to help you with your adhesive needs. It’s that simple. Bonus Round: You use equipment to apply your adhesive to your application, right? AJ Adhesives has a sister company called, Mid-America Packaging where we can repair, rebuild & restore your old machine to it’s former glory, or, simply help you to decide which new machine is more efficient for your line. LIKE our AJ Facebook page for more glue related news & MAP Facebook page for more equipment news. The cold weather is here again and this is the time you always wonder and worry, “Can my liquid adhesive order ship?” As your adhesive professionals we’re always here looking out for you. Here are some tips to help you stay ahead of the ordering game in the cold winter months. #1) When placing your liquid adhesive orders give yourself some lead time. If you order on a cycle every 2 weeks and you see the forecast temperatures dropping below freezing it’s best to place your 2 orders for the month at once. This can ensure you have enough product for a longer time frame and help you plan ahead for the next warm spell when temperatures are above freezing overnight. #2) When planning your ordering for the week or month be sure to look at the temperature overnight lows. The highs during the day may be in the 40’s, but it’s the nighttime lows that can freeze and compromise your product. If you’re unsure when planning your ordering contact your AJ CSR to see when your product might be able to ship. #3) Ask your favorite AJ CSR if your shipping transit time is more than a one-day transit for order scheduling. The longer the transit time the more likely your product will freeze during times of freezing temperatures. 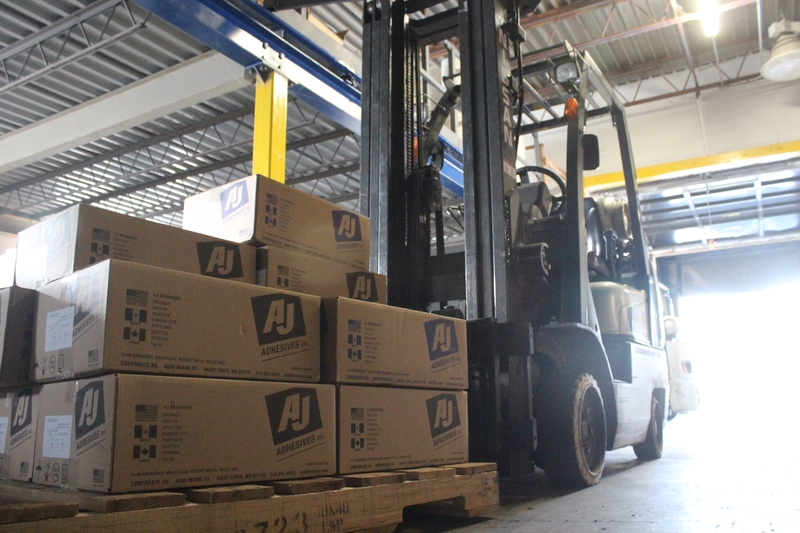 AJ Adhesives has the ability to serve you better with our 4 stocked warehouses across the country. We like to ensure your shipping time is as short as possible. 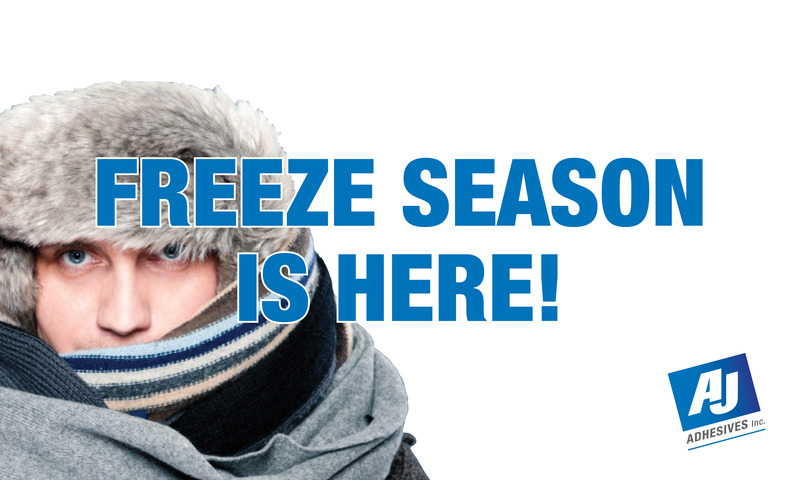 #4) Are you in a pinch and need your liquid order to ship, but it’s below freezing overnight? Ask your CSR if your shipping location can be delivered via a same day carrier. 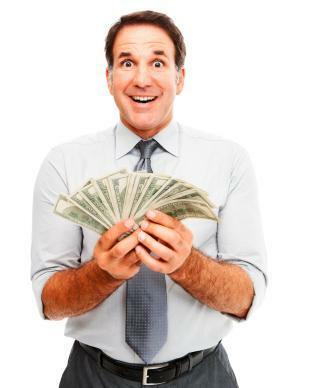 The freight cost may be a bit more, but ensuring your line doesn’t go down can be priceless. #5) Ask your AJ CSR where your product is shipping from. It might be warmer where your headquarters is compared to where our stocked warehouse is. We would love to stock everything to you as close as possible, but as all of our customers across the country have needs we must stock product efficiently. So plan ahead by asking your CSR where your liquid orders ship from so you can look into that location’s temperatures as well. You can find all of our warehouse locations here. #6) You can always “Will Call” an order where you arrange for your own company, or a courier you trust, to come pick up product at our warehouse. #7) To ensure your product arrives in good condition AJ will not ship liquids on Fridays during freezing temperatures, so please place your orders earlier in the week for shipping. #8) If snow and ice are forecast it is always a good idea to place orders earlier in the week allowing extra time for road delays and closures. Bonus Tip) If you do receive a liquid shipment be sure to check it so you do not accept frozen product. Order Today / Ship Today! We LOVE to ship everything the same day it is ordered. 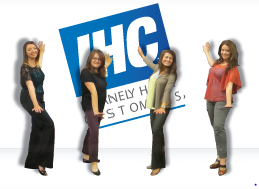 One of our IHC™ philosophies is, Order Today / Ship Today! When we get an order and see that we have the product stocked, we ship it the same day to deliver to you as quickly as possible! No matter how big or small the order is we make sure it gets out! Need totes or skids of product to ship same day? No problem! Get us your order and we always do our best to ship it the same day. We also honor requested delivery dates. If you request to have your product by a specific day and no sooner, we honor that delivery date. We understand you have specific needs and we are more than happy to accommodate. ORDERING TIP! : Do you notice that your adhesive orders need to be back ordered in each time you place your order? Talk to your sales rep about getting your product stocked for regular scheduled ordering or to try a new product that we always have available. and please LIKE our Facebook page! Do you like to KNOW when your order is coming in? We understand and we can help you with that. Whether you just like to know your product will arrive the day you need it, or if you know your product can take some time to come in, we always suggest you keep at least two orders on file with your AJ CSR for future dates, at least 7-10 days out. This rotating order calendar helps to ensure you get your product the day you need it and you always know when your next order is coming in! So how do you do that? 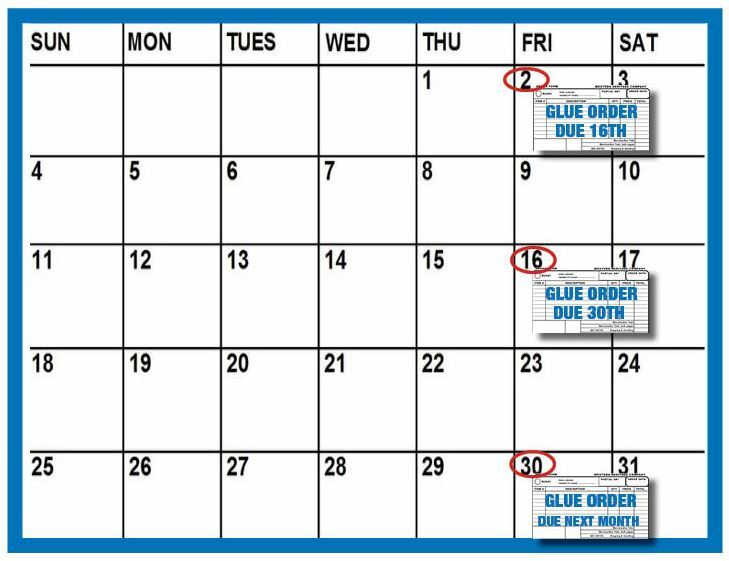 Well, you can follow the example below to receive your glue on your requested date and ensure your next order is ready to go and will deliver by the day you need it. All you need to do is place your order with your favorite AJ CSR, then as you receive that order, place your next future order. This schedule makes it easy to stay ahead of the game. This process helps you to avoid delayed leads times, transit issues and keep your inventory stocked as needed. For more ordering tips LIKE our Facebook page! Looking to save money with your next order? No problem! We can help you with that! 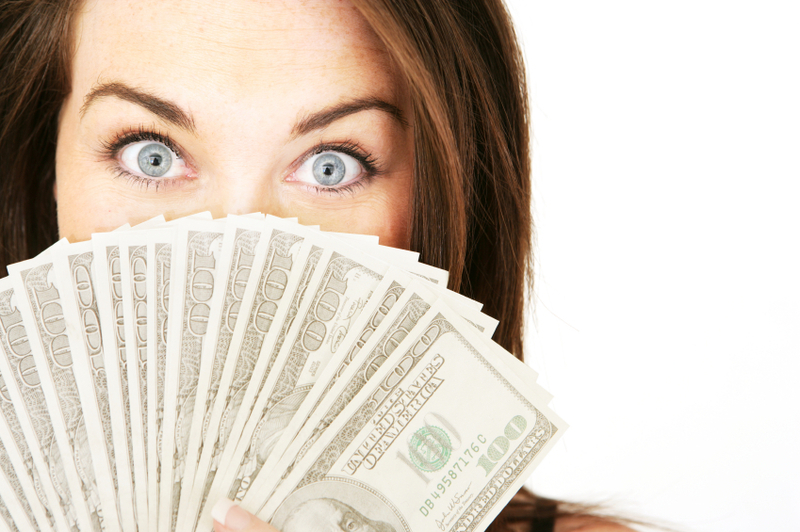 Check out a few ways we can help save you money on your next order! Will Call your orders. Will Calling is the best way to save you those shipping fees. If you’re close to the warehouse why not pick it up to save some money? Can’t Will Call your order? No problem. Just tell your Customer Account Manger to ship your order “Best Way”. This tells us you want to ship your order the fastest and cheapest way. Plan your order ahead of time! Sending us your order with 5-7 days lead time will almost always give us enough time to get your order in to ship in full so we don’t have to send partial shipments. Not sure how to plan ahead? Check out our previous blog for Fail Safe Ways to Always Know When to Order! Watch out for AJ promotions! At AJ we’re always looking to show our customers how we care and have started some money saving promotions! So keep an eye out on our AJ Facebook page and here on our blog! Another great way to save is to talk with your local FedEx or UPS carriers to work out a Collect account that may offer you better pricing. Check back with us for more helpful tips and trick for ordering! Thank you for your business and we look forward to your next order! Ever do business with a company and wish you could really let them know what you think of their service? Good or bad? Or have you voiced your thoughts before with a company and felt your opinion and thoughts have gone unnoticed? At AJ we NEVER want you to feel your opinions and thoughts don’t matter. 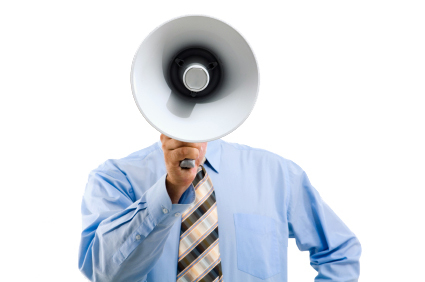 If you have something we could improve upon for your company we want to know about it! Or if you have had excellent care from us and want to express your gratitude we want to hear that too! We believe our customers should always have a voice in the service they get from us. Our service is designed with you in mind. You work with one Sales Rep and one Account Manger so we get to know you and your companies ordering needs. Need to ship Collect? No problem! Need your liquid glue dyed a specific color? We got you covered! We always do our best to give you customized service designed for you. We offer our 1 question survey and opportunity to provide feedback at all times: on our IHC website, in our service email signatures, on our social media pages and emailed to you 3 days after your order ships via freight. We believe in giving you constant access to tell us how we are doing so we can always be striving to improve your ordering experience. This feedback is constantly reviewed to ensure we are providing the best service possible. Call us with your order today!